Dramatically reduces withdrawal and nervousness symptoms? Allows you to maintain your present weight and not compensate for the cigarettes by overeating? 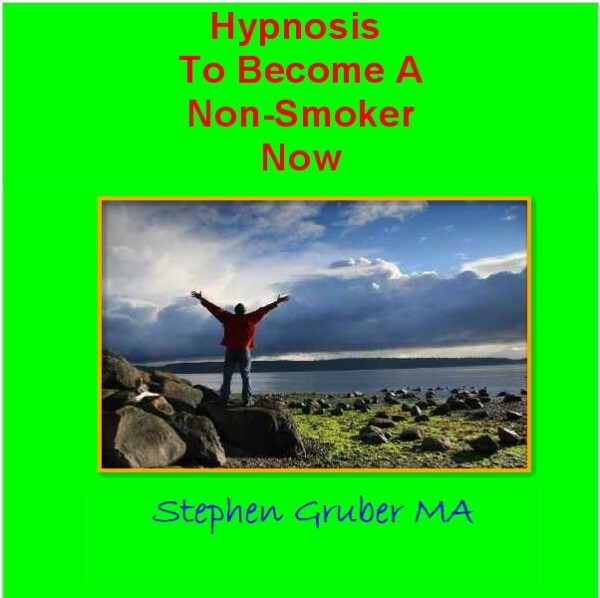 Self-hypnosis has been clinically proven to be the most powerful and permanent method to become a Non-smoker. And this particular recording directly addresses these two important concerns that many of my clients have. the closest experience people can have who are unable to actually be here for in-person sessions with me. If you are ready to give new life to your lungs and circulatory system. If you are ready to experience the delight of fresh smelling breath and clothes. If you really want to become healthier, save your money and become so much more attractive to many people then it's time for you to finally become a Non-smoker. Listen and relax with this powerful MP3 recording for 30 days and get ready to notice the exciting results! I won't remind you of what you've got to lose if you don't. Now you can become a Non-smoker at last. 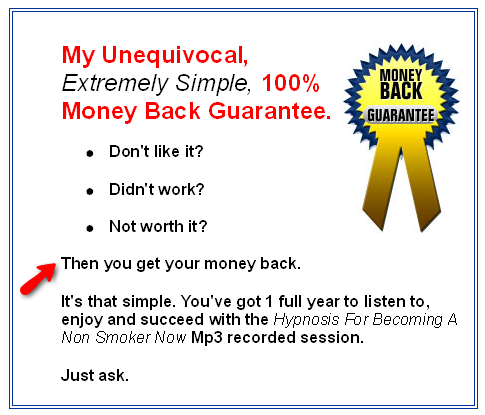 You of course have my straight-forward guarantee with this recorded hypnosis Mp3. Finally, for the price of a few packets of cigarettes you are on your way to success.